Today marks the final day of Developer Appreciation Week for 2015. Lots of folks around the blogosphere have been thanking Developers in games that have made a difference in their life (even a small one) left and right. While there have been many games I’ve played that have made a difference in my life, whether they be console, handheld, or one-shot computer games, I would like to specifically thank the MMO developers out there. I have a hard time viewing these companies as the evil empires they are made out to be. No one sets out wanting to make a horrible product, and no one deserves to feel like they are hated by the people that are supposed to be their fans. So, without further ado, here are my thank yous to the following development teams, in no particular order (well, the ones I’m playing currently are the first three). One of the things I can say for WildStar, is that the devs really do listen, even if it takes them a while to be able to implement things. They’re also some of the most active developers I’ve seen in the social media sphere, and they truly care about their community. Two of the community team (DD and Tony) take time weekly to hop in game and stream their leveling adventures, and invite the community to not only watch, but to participate in the game itself. All of the devs are on Twitter, and make sure to foster interaction with their community on Twitter as well as official forums. I’ve even heard rumor they’re on Tumblr and do the same? But Tumblr baffles me, so I’ve no idea. Regardless–the dedication the team has to the community is what has kept me around (aside from an awesome guild). And a special shoutout to both DD and Buster for being able to take time out of their personal schedules on a weekend to sign in game and help with a player run event (ThaydFest). I’ve not known other devs that would do the same–hopping in TS and following directions from players to make an event super awesome special. Chaide and I first purchased this game when it came out, but did a monthly sub instead of buying the veteran-lifelong sub (or whatever it was called) because of some finances. But we very much enjoyed the game when we were playing it, and as we’ve gotten back into it with a friend for a Let’s Play, I feel like we’ve gotten more into it than when we first bought the game. What we love about this game in particular is the lore and the quest design. So I want to send my shout outs in particular to lore team and the quest design team. The puzzles, while difficult, are lots of fun and very rewarding to complete. And the lore is robust and based upon so many horror mythos that it is amazingly… real! It feels real. Not only is this game visually appealing, but it is entirely immersive. I can get lost for hours doing lore-related items, crafting, or even “time-killers” like the Golden Saucer. And not only that, the developers have designed the game in such a way that it benefits higher level players to (1) be nice to folks of all levels and (2) visit lower level zones. Because of the game design, the game feels more alive in all zones than some other games do. So, thank you, Squenix, for sticking with ARR and revamping it. 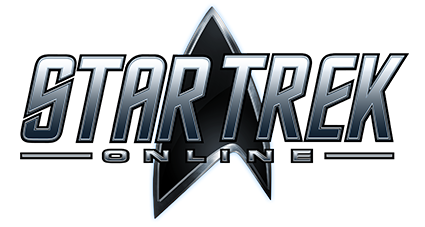 While I don’t particularly play this often, I have a soft spot for everything and anything Star Trek (yep, I’m a Trekkie, though I do enjoy some Star Wars every so often). What this development team has done with the game is expand upon lore that is both relevant and important, and I can’t say enough to be able to be a part of a world I grew up always wanting to be a part of. They have done a great service to both the Trek community and IP, and they deserve major props for keeping things as cannon as possible amongst all the versions of the IP they incorporate. This is a game I’d love to get back into occasionally. Neverwinter was a lot of fun for the little time I played it. I never got into it full time for long bursts–it was mainly 2 months here, 1 month there… but it was always enjoyable. I want to thank the devs for deciding to design an “armory” where players could create their own campaigns and content for other players to experience. This is the reason I kept going back for more–to see what Old Jerry was up to next. Or to play that Lovecraft-themed dungeon just one more time. The nice thing is that it’s FTP, so I can do that. As many would say, this was my “gateway” into the world of MMOs and spending time with a community of players that was close-knit. It’s what got me into blogging initially–for wanting to break out of my shell. So while I have parted from WoW, I will always thank the developers for a lot of things–a way to bond with my husband when we first started dating, a way to make new friends, a reason to move to Georgia for graduate school, and a way to start coming out of my shell and trying to make myself a better person. So, thank you. For being a very big chapter of my life as I transitioned from undergrad to graduate school and a huge change in life moving away from home. And to developers in general, I’d like to thank you all for everything you’ve done. And know that even if we QQ a lot, deep down, we have a lot of reasons to thank you for making our lives better in so many different ways. Fit Geek Friday – Superheroes!